No. 9, Jalan Tiong Emas 6, Kawasan Perindustrian Tiong Nam, 81100 Johor Bahru, Johor, Malaysia. 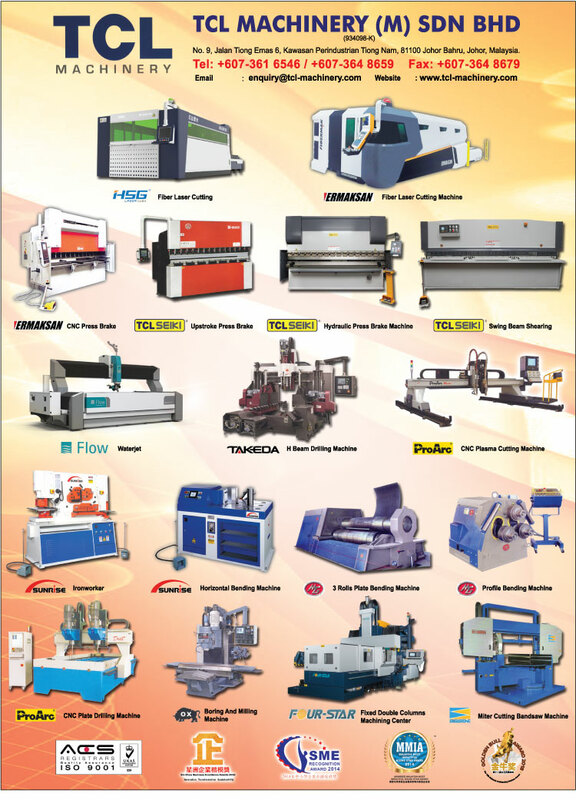 In TCL Machinery, you can be trusted with superior quality and effective maintenance. Ensure that your production facility is ready for the future by utilizing our wide range of production solution today! We focus on product quality, quality means that our customers are satisfied and that their expectations are met. We ensure this by the systematic and integrated quality awareness of our employees and a good and creative company culture. This also means to continuously control and improve products and processes. We plan to accomplish this mission by meeting the ever-changing needs of our customers through providing dynamic, professional and innovative solutions, high quality products and services.